FOOTBALL AS WE KNOW IT is changing before our very eyes. Ticket prices are rising and billionaire club owners are spending obscenely large sums of cash on footballers. However, on a series of remote islands in the South Atlantic Ocean, football continues to do what it ought to do best: bring communities together. Saint Helena is perhaps best known for being Napoleon Bonaparte’s place of exile – the Frenchman died on the island in 1821. A small place, St Helena boasts a population of just 4,000 and this number is set to decrease as more young islanders opt to study and work in the UK. It’s hardly surprising; after all, the average annual salary is just £5,500. However, despite the difficulties involved, Saint Helena has a football league, as well as a football association. The Saint Helena Football League begins in May and finishes around midway through winter to allow the commencement of the cricket season. Saint Helena is a British owned island, but its’ location means that the winter runs through the UK’s summer, and the summer occurs at roughly the same time as British winter. The league is an exciting affair for the close-knit community of Saint Helena and large crowds are regularly in attendance. The 2014 league, comprising of 12 teams, has proved to be a tight and testy affair with Rovers and Harts the top two teams contesting for the title. Despite reigning champions St Helena Wirebirds’ disappointing campaign, the team positioned seventh in the league, their star man Jason George has also been the lead scorer thus far with an astonishing 17 goals to his name. Saint Helena also has aspirations in international football. The island’s FA attempted to send a team to the 2011 Island Games in the Isle of Wight, an Olympic-themed competition for small islands throughout the world. 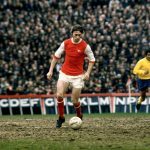 The aim was to send a squad of around 17: five players from the island and the rest from the UK with Saint Helenian roots. Unfortunately nothing ever materialised, with financial difficulties playing an integral part in the downfall of their dream. The Saint Helena FA have also contacted FIFA recently, and with Gibraltar, another British Overseas Territory, now a part of UEFA, there is no reason as to why they would be unable to join the global governing body. However, in Tristan da Cunha’s case, this might be slightly more difficult. 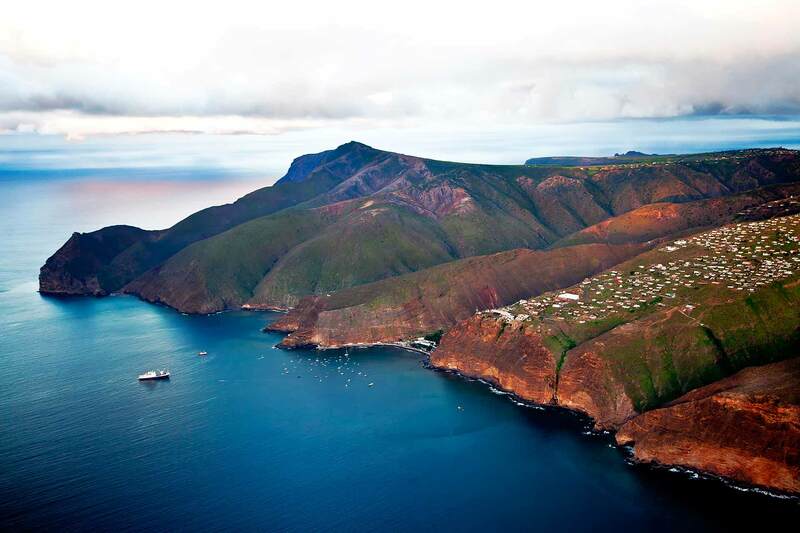 A volcanic island over a thousand miles away from Saint Helena, Tristan da Cunha has a population of just 300 people. Named after explorer Tristão da Cunha, football is an integral part of many islanders’ lives, including Leon Glass, who founded Tristan’s first – and only – football club, Tristan da Cunha FC. Tristan da Cunha FC is the most remote football club in the world. Although they have played matches before, against Navy ships, their location is an enormous disadvantage. Unfortunately, a lack of matches has taken its toll on the club, who now field a five-a-side team. Despite the team’s grandiose “remotest team in the world” title, they continue to struggle onwards, a team without an opposition. However, on an island over a thousand miles away, the situation couldn’t be more different. Ascension Island has roughly 800 inhabitants, the majority of whom are originally Saint Helenian, British or American. Like Tristan da Cunha and Saint Helena, it is ruled by Britain. Football is very popular on the island and, akin to their larger counterpart Saint Helena, they boast their own league. Football on the island is not without its difficulties, mind you. The only football pitch on the island is situated beside the beach and tortoises can regularly be seen resting on the playing surface. The field has barely any grass on it. Promisingly, there are plans to build a new one at some point as local football journalist Catherine Leo explains. Due to the fact that there are no permanent residents as such on the island – the inhabitants are on work permits – a team in the Island Games is all but impossible. The league, however, is in full swing. The Ascension Island Football League features around six teams, including Inbetweeners, Two Boats United, and the reigning champions, VC Milan. It’s the most popular sport on the island and the local newspaper, The Islander, includes match reports and analysis, while the Saint Helena Sentinel often dedicates a page to the Ascension league. Ascension Island’s population may be meagre, but driven by determination and a love for the game, their teams continue to arrive at the Longbeach football pitch every Saturday to find it invaded by tortoises or flooded. In true British fashion, they carry on nevertheless. Departing Ascension Island and heading south, you’ll find the Falkland Islands, the location of the tragic war between Britain and Argentina. The Falkland Islands have something that no other island in the South Atlantic Ocean do; they have a national football team. But, despite this, they do not currently have a league. Football on the islands has been dwindling over the last decade. The Falkland Islands Football League – the governing body for football on the islands – gave up on the league in 2011 when there were just four teams competing. A lack of interest is one problem with cricket the more popular sport. But despite not having a league, the Falklands continue to compete in the Island Games, facing the likes of FIFA members Bermuda and UEFA members Gibraltar, as well as the Isle of Man, Guernsey and Greenland. Their record in the tournament is largely unforgettable, but they did manage to clinch a bronze medal in the 2013 event, held in the British territory of Bermuda. Sadly, playing football at FIFA level is all but impossible for the Falklanders, as the Falkland Islands Football League chairman Michael Betts says. The Falkland dream is not yet over as hope prevails that the league will recommence and signify a return to organised football on the Islands. The FIFL are hoping to receive a grant from the Falkland government for an artificial football pitch as the facilities currently available are not ideal. High winds and extreme winters make grass pitches difficult to maintain. 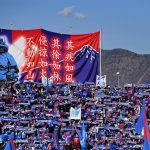 From a league that plays in the shadow of tortoises, to a team stranded thousands of miles away from their nearest club and unable to play a competitive match for three years, the mesmerising islands of the South Atlantic Ocean go to extraordinary lengths just to enjoy a game of football.